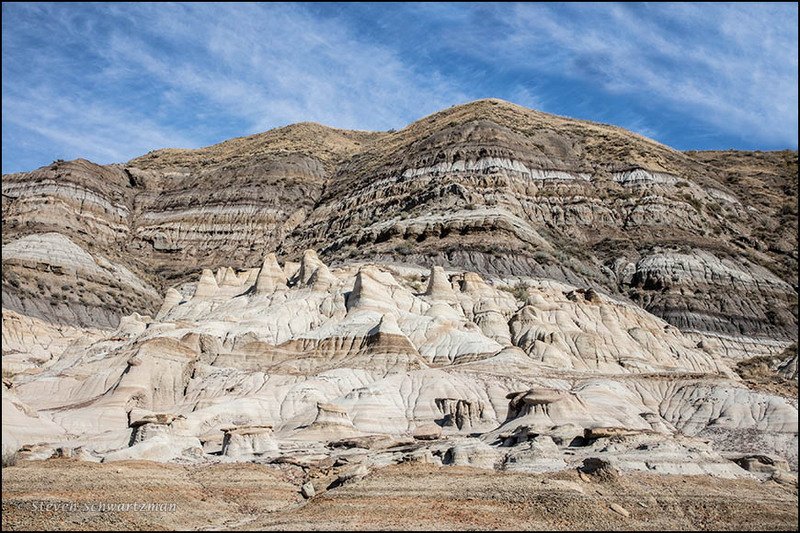 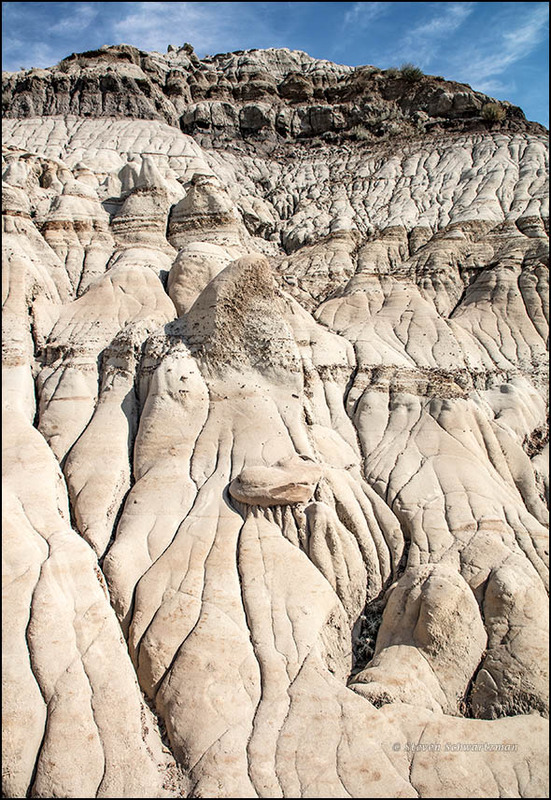 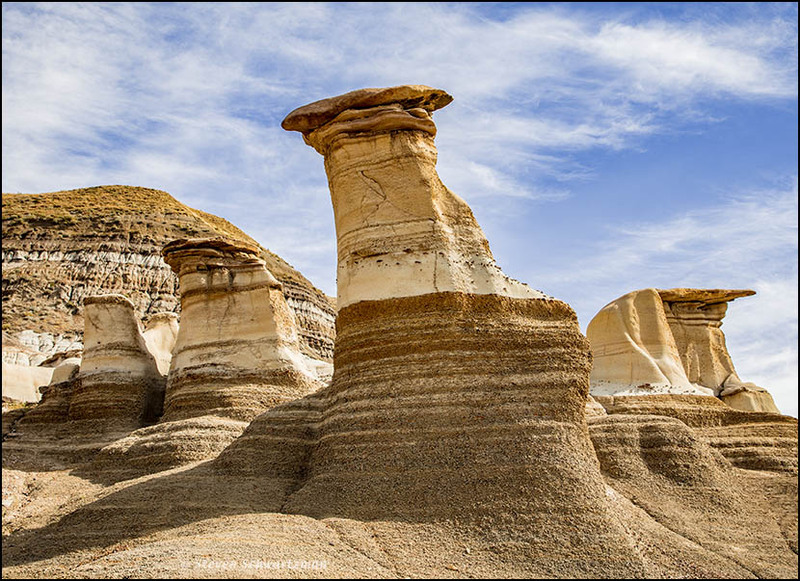 Just tens of meters away from the famous hoodoos located a few miles east of Drumheller, Alberta, are these that get less attention but are highly photo-worthy. 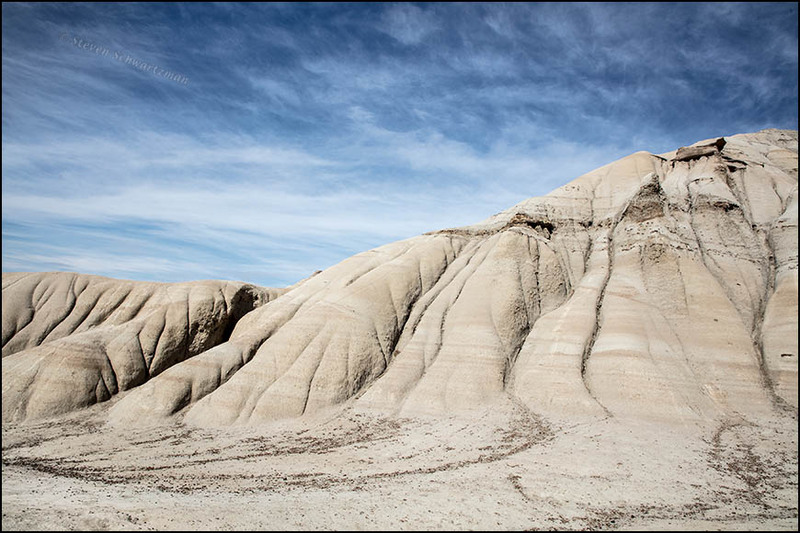 On September 12th I obliged them with my attention and they repaid me with multiple pictures. 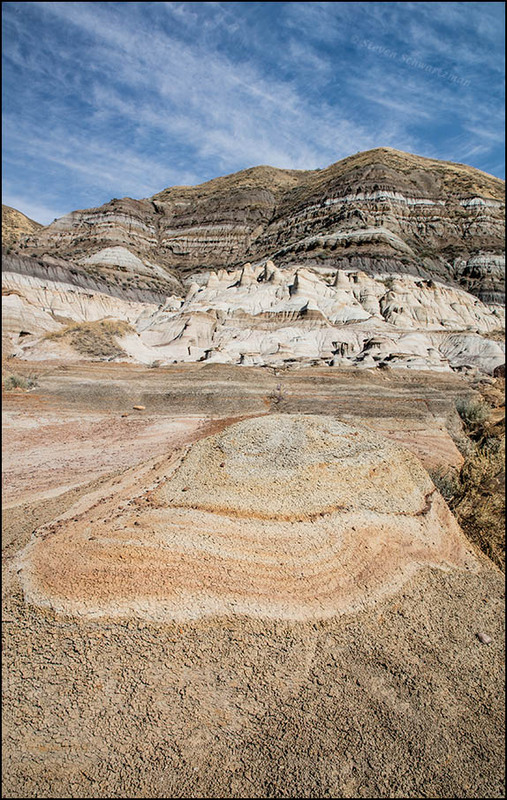 In this one, notice the dark strata in the foreground, in the farther hills, and even across the middle of the lighter formations.